Thanksgiving: for many of us the holiday marks the beginning of a five-week period full of shopping, food and, let’s be honest, stress. Cooking a turkey dinner can seem like an impossible task and no matter how many people you shop for, there always seems to be one more gift to buy. However, Troy has no shortage of restaurants, shopping and events to make Thanksgiving weekend fun, and dare we say, stress free? 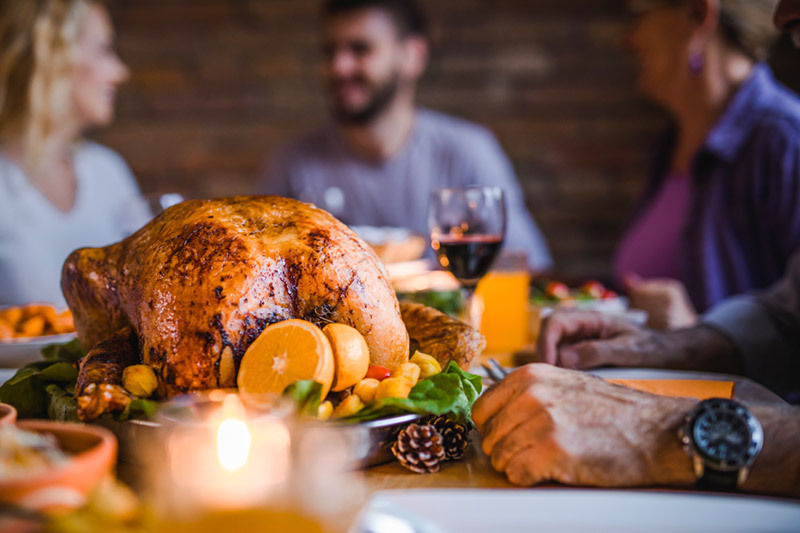 Wondering where to find the best local and organic food for Thanksgiving dinner? Look no further than the Troy Farmer’s Market. The Market sets up shop every Saturday in the Troy Atrium and hosts over 80 local farmers and vendors. Pick up everything from cheese and crackers for appetizers, to apple and pumpkin pies to round out your meal. Don’t forget the wine! Cooking not your thing? Or maybe you simply want to spend less time in your kitchen and more time with you family. No worries! Some restaurants in and around Troy offer fully prepared Thanksgiving dinners available for pickup. All our Troy communities are less than 20 minutes from each of the restaurants, making it easy and convenient to pick up your Thanksgiving Dinner. Don’t forget to take a break from all the cooking to get some exercise! The 102nd Troy Turkey Trot kicks off at 8 am at the Troy Atrium on 43rd Street. Take part in the mile walk, 5K or 10K. After dinner is cleaned up and your in-laws have gone home it’s time to shop! Plenty of local shops are offering Black Friday and Small Business Saturday deals to kick off the holiday shopping season. If you’re lucky enough to live in The Keenan Building, 33 Second Street or The Dauchy Building you have the convenience of doing your Black Friday shopping just steps from your door. After you’ve purchased all your gifts, take a ride on the holiday trolley to the Atrium to take advantage of holiday gift wrapping. Going on from 9-2, you’ll be able to wrap your gifts with fun paper, ribbon, bows and tags. With all that’s going on in Troy, Thanksgiving weekend will be fun and enjoyable for everyone. Wish you lived closer to all the action? Contact us today to learn more about our five Troy communities.